Kyrie Irving is making up for lost time after sitting out the 2018 playoffs with injury. Played in 53 games (all starts) for Cleveland…averaged 19.6 points on .448 shooting, including .321 from three-point territory, 3.0 rebounds, 4.7 assists and 1.1 steals in 31.5 minutes per game…also averaged a career-low 2.3 turnovers…shot a career-best .885 from the free throw line, which ranked 2nd in the Eastern Conference and 10th in the NBA…scored at least 20 points 28 times and at least 30 points on eight occasions…averaged 6.4 points in the fourth quarter (9th-best in NBA)…recorded five assists or more on 26 occasions…at Washington on Jan. 6, finished with 32 points on a season-best .636 shooting percentage (14-22 from the field), five rebounds, three assists, two steals and one block in 34 minutes; scored 19 points in the fourth quarter, his most in any quarter of the season…hit his 2,000th career field goal at Dallas on Jan. 12; finished with 22 points, nine assists and one steal in 39 minutes; netted a clutch three-pointer with 13.8 seconds remaining in overtime to seal the win for Cleveland…pulled down a season-high nine rebounds while chipping in with 17 points and four assists in 28 minutes against Minnesota on Jan. 25…drained a season-high five three-pointers on two occasions (Feb. 8 vs. Sacramento, March 29 vs. Houston)…scored a season-high 35 points on two occasions (Feb. 10 vs. L.A. Lakers, April 11 vs. Atlanta)…had back-to-back 30-plus point games on Feb. 8 vs. Sacramento and Feb. 10 vs. the Los Angeles Lakers…turned in a double-double with 32 points and a career-high tying 12 assists on Feb. 8 versus Sacramento, his 3rd 30-10 game of his career (11/9/13, 12/10/13)…posted a season-high tying 35 points on 15-24 (.625) shooting, including 3-6 (.500) from deep, and notched three rebounds, seven assists and a game-high tying two steals in 36 minutes against the L.A. Lakers on Feb. 10; his 15 field goals were a season high…made his 500th career three-pointer with his first triple against Charlotte on Feb. 24; went 10-17 (.588) from the field for 23 points while recording six rebounds, five assists, a steal and a block in 32 minutes…scored 20 or more points in a career-high tying seven straight games from Feb. 28-March 10…reached his 6,000th career point with his free throw at the 8.9 second mark of the fourth quarter against Indiana on Feb. 29; finished with 22 points, three rebounds, a game-high tying six assists and one steal in 35 minutes while shooting a season-best 11-11 from the charity stripe…pulled down his 1,000th career rebound against Washington on March 4…tallied a season-high four steals against Memphis on March 7…moved past Geoff Huston for 10th place in assists in Cavaliers history at Orlando on March 18…surpassed World B. Free (6,329) for 10th place in scoring in Cavaliers history with his first point at Milwaukee on April 5…delivered a season-high tying 35 points on 14-28 (.500) shooting, including 4-8 (.500) from deep, four rebounds, five assists, two steals and one block in 40 minutes versus Atlanta on April 11; surpassed Danny Ferry (543) for the 5th-most three-pointers in Cavaliers history with his second triple of the night…led or tied for the team lead in points 19 times, assists 18 times, steals 15 times and blocks eight times…was a DNP-CD one time this season…missed 24 games from Oct. 27-Dec. 17 due to a fractured left knee cap; missed four games on Dec. 26, Dec. 29, March 26 and April 13 due to rest; missed one game on April 3 due to a right ankle sprain…was placed on the Inactive List 28 times on the season. Owns career averages of 20.8 points on .452 shooting from the field, 3.4 rebounds, 5.5 assists and 1.4 steals in 34.0 minutes per game in 309 games (all starts) over five seasons with Cleveland…also holds a career three-point percentage of .378 and free throw percentage of .865…played in 75 games (all starts) for Cleveland in 2014-15…averaged 21.7 points (9th in NBA) on .468 shooting, 3.2 rebounds, 5.2 assists and 1.5 steals in 36.4 minutes per game…also averaged a career-low 2.5 turnover and was one of only two players in the NBA to average at least 20.0 points, 5.0 assists and 2.5 or few turnovers per game in 2014-15 (Blake Griffin)…shot a career-high .415 from three-point range (8th in NBA) and .863 from the free throw line (18th)…is one of five players in NBA history to average at least 18.0 points, 5.0 assists and 3.0 rebounds per game in each of his first four NBA seasons (LeBron James, Oscar Robertson, Grant Hill, Steve Francis)…made a career-high 157 three-pointers, the fourth-most by a Cavs player in a single season; connected on at least one triple in 64 of 75 games, including 39 games with two or more threes and 26 contests with at least three makes from deep…from Nov. 5-19, hit multiple three-pointers in a career-best seven straight games, shooting a total of 22-40 (.550) from deep over that span; also made at least three triples in five straight contests from Nov. 10-19…was an NBA All-Star for the third consecutive season, becoming the fourth-youngest player in league history to make three NBA All-Star appearances (LeBron James, Kobe Bryant and Isiah Thomas)…two-time Player of the Week award winner (week ending Feb. 2 and March 15)…scored in double figures in 68 games, at least 20 points on 45 occasions, 10 30-point outings and two 50-point outings…from Nov. 10-22, scored at least 20 points in a career-high seven straight games, averaging 23.1 points on .495 shooting, including .476 (20-42) from beyond the arc, 5.3 assists, 4.1 rebounds and 1.9 steals in 37.6 minutes over that stretch…averaged 23.6 points per game on the road, which ranked seventh in the NBA…became the first player in team history with multiple 55-point games in a season and the first NBA player to do so since Kobe Bryant had 55-point outings for the 2006-07 Lakers…had the two highest scoring games by any NBA player in 2014-15 (57 points at SAS on 3/12 and 55 points vs. POR on 1/28)…recorded six double-doubles…shot a perfect 10-10 from the free throw line on four occasions (10/31 at Chicago, 1/28 vs. Portland, 2/26 vs. Golden State and 3/12 at San Antonio)…tied his career high with 10 rebounds to go along with 24 points, five assists and three blocks in 36 minutes against Indiana on Nov. 29…dished out a career-high tying 12 assists and scored 18 points in a win over Chicago on Jan. 19…moved past Craig Ehlo (381) for sixth place in franchise history in three-pointers made on Jan. 27 at Detroit after knocking down 6-10 (.600) shots from deep and finishing with 38 points on 13-23 (.565) shooting, three rebounds, six assists, a game-high three steals and one block in 42 minutes…set a Quicken Loans Arena-record with 55 points on 17-36 (.472) shooting from the field, a career-high and franchise-record 11-19 (.579) makes from the three-point line, a perfect 10-10 from the free throw line, four rebounds, five assists and two steals in 39 minutes in a home win over Portland on Jan. 28…his 93 total points in a back-to-back set from Jan. 27-28 was the most by any Cavalier in team history with the previous mark being held by LeBron James, who had 89 points in a back-to-back from March 5-6, 2008…reached 5,000 points for his career with his jump shot at the 10:45 mark of the fourth quarter during a road win at Toronto on March 4…shot his highest field goal percentage on at least 15 attempts after tallying 33 points on 12-15 (.800) shooting, including 4-6 (.833) from deep, four rebounds, four assists and one steal in 35 minutes at Orlando on March 15…shot .923 (12-13) from three-point range from March 12-15, which was the third-highest three-point shooting percentage (92%) over a span of two games in NBA history (min. 10 shots made), behind only Brent Price (10-10 from downtown over two games in January 1996) and Terry Mills (13-14 December 1996); he also made 11 straight three-pointers without a miss during that stretch, tying the franchise-record for consecutive threes without a miss, set by Delonte West (Jan. 9-Feb. 22, 2009)…hit the game-tying, buzzer-beating three-pointer in regulation, while also setting a franchise record, career high and NBA season high with 57 points on 20-32 (.625) shooting, including a perfect 7-7 from the three-point line, 10-10 from the foul line, three rebounds, five assists and four steals in 47 minutes during Cleveland’s 128-125 OT win at San Antonio on March 12…made his 1,000th career free throw at Brooklyn on March 27…nailed his 400th career three-pointer with his third make against Sacramento on Jan. 30…pulled down his 800th career rebound against Detroit on Jan. 27…swiped his 300th career steal vs. Dallas on Jan. 4…played in his 200th game and made his 800th free throw at Brooklyn on Dec. 8…surpassed 4,000 points for his career after converting a layup at the 5:58 mark of the 2nd quarter vs. Toronto on Nov. 22…grabbed his 900th career rebound against Detroit on April 13…before March 23, was one of five players in NBA history to reach 5,000 points and 1,000 assists before the age of 23 (LeBron James, Derrick Rose, Tracy McGrady and Kobe Bryant); his 444 three-pointers made before turning 23 are the most in league history (J.R. Smith-439, Kevin Durant-429, LeBron James-429)…had 35 games with two or more steals, including a season-high five steals against Utah on Jan. 21…led ore tied for the team lead in steals 26 times, scoring 24 times, assists 23 times and blocks 12 times…was a DNP-CD one time, DND two times and NWT two times…missed two games from Dec. 26-28 due to a left knee contusion; missed one game on Jan. 5 due to low back tightness; missed two games from Feb. 27-Mar. 1 due to a left shoulder strain; missed one game on April 10 due to right hip soreness; missed one game on April 12 due to rest…was placed on the Inactive List two times…played in 71 games (all starts) for Cleveland in 2013-14… averaged 20.8 points on .430 shooting, 3.6 rebounds, 6.1 assists and 1.5 steals in 35.2 minutes per game…ranked 14th in the NBA in points per game, while also owning the highest scoring average among all Eastern Conference point guards…shot .861 from the free throw line, which was the 13th-best mark in the league…was one of only six players in the NBA with averages of at least 20 points and six assists per game…became only the second Cavs player to ever average at least 20 points and five assists in multiple seasons (LeBron James)…scored a NBA-high 55 points in overtime and his 7.9 overtime points per game were the second-most in the league (min. 2 OT games)…was also solid in the fourth quarter with an average of 6.1 points (8th in NBA)…was voted a starter in the 2014 NBA All-Star Game in New Orleans…became the second Cavs player and second-youngest player to ever earn MVP honors of an All-Star Game (LeBron James) after tallying a team-high 31 points (15 in the 4th quarter) on 14-17 (.824) shooting, including 3-6 (.500) from long range, a game-high 14 assists and five rebounds in 34 minutes in a 163-155 win for the East…became the first player to have at least 31 points and 14 assists in an All-Star Game and tied Glen Rice’s record (1997) for points in a half with 24 in the second half…in All-Star Game history, the only other player to record more than 10 field goals and 10 assists in a game was Dwyane Wade in 2010 (12-16 shooting, 11 assists)…was named the NBA’s Eastern Conference Player of the Week for games played from Dec. 9-15 after averaging 29.0 points on .508 (32-63) shooting, including .409 (9-22) from beyond the arc and .933 (14-15) from the foul line, 6.3 assists and 2.3 steals in 34.3 minutes in three games…tied his career high with 12 assists on three occasions (11/9, 2/7 and 2/28)…recorded a career-high 44 points on 16-31 (.516) shooting, including 5-9 (.556) from the three-point line, seven rebounds, a game-high eight assists and three steals in 43 minutes against Charlotte on April 5…registered his best shooting percentage of his career with 17 points on 7-8 (.875) shooting, six rebounds, a game-high eight assists and one steal in 28 minutes at Orlando on April 2…had a strong all-around game with 30 points, eight rebounds, eight assists and two steals in 43 minutes against New York on March 8…notched his first career triple-double with 21 points, 10 rebounds and a career-high-tying 12 assists in a 99-79 over Utah Jazz on Feb. 28…had a near double-double with a game-high 31 points on 10-19 (.526) shooting, including 4-7 (.571) from deep, and nine assists to go along with five rebounds and four steals in 43 minutes in a win at Oklahoma City on Feb. 26…in the Feb. 7 victory at Washington, he posted a double-double at halftime for the first time in his career (12 points, 10 assists) and finished the night with 23 points, three rebounds and a career-high-tying 12 assists in 33 minutes…in 10 games from Dec. 10-29, averaged 28.5 points on .491 shooting, including .438 (28-64) from deep, .940 (47-50) from the foul line, 6.8 assists and 1.5 steals in 37.0 minutes…joined LeBron James (March 5, 2008 at NYK) and Campy Russell (March 13, 1979 vs. PHX) as the only Cavs players to ever post at least 40 points, nine assists and four steals in a single game after putting up those numbers against Atlanta on Dec. 26…his 12 points in the second overtime on Dec. 26 versus Atlanta was one point shy of tying the most points scored in a single overtime in franchise history (LeBron James, 13 points in second OT on Jan. 24, 2007 vs. PHI)...in the win over Milwaukee on Dec. 20, recorded 39 points on 13-25 (.520) shooting, six assists and a career-high four blocks in 42 minutes to become the only Cavs guard to ever have 39 points and four blocks in a single game (since blocks became an official stat in 1973-74)…put up his fourth double-double of the season with 25 points, 10 assists and zero turnovers against Portland on Dec. 17, the first time in his career with those numbers…tallied 37 points, 11 assists and just one turnover in the Dec. 10 win over the Knicks, becoming the first Cavs player since World B. Free on March 29, 1986 (43 points, 11 assists, 0 turnovers) to put up those numbers and was the first NBA player to do so since Kobe Bryant on Dec. 29, 2009 (44 points, 11 assists, one turnover vs. GSW)…against Washington on Nov. 20, scored 18 of his game-high 28 points in the fourth quarter…put up 41 points (nine in OT) on 14-28 (.500) shooting, including 4-7 (.571) from deep, four rebounds, five assists and two steals in 42 minutes at Washington on Nov. 16…in a 127-125 double-overtime win over Philadelphia on Nov. 9, he became the third Cavs player to ever tally 39 points, five rebounds and 12 assists in a single game (LeBron James and Mark Price)…recorded six double-doubles and one triple-double on the season…scored 10-19 points 29 times, 20-29 points 28 times, 30-39 points seven times and 40 points or more three times…led or tied for the team lead in assists 44 times, scoring 38 times, steals 30 times, blocks seven times and rebounds one time…missed three games due to a left knee contusion from Jan. 2-5…missed eight games from Mar. 18-30 due to a left biceps strain…was placed on the Inactive List 11 times on the season…played in 59 games (all starts) during the 2012-13 season…averaged 22.5 points on .452 shooting, 3.7 rebounds, 5.9 assists and 1.5 steals in 34.7 minutes…also shot .391 from three-point range and .855 from the free throw line…joined Lenny Wilkens (1972-73) as the only Cavs players to average at least 20.0 points and 5.0 assists, while shooting .800 or better from the foul line in a single season and was the only player in the Eastern Conference to put up those numbers on the season…became the fourth No. 1 overall pick in NBA history to average at least 20 points and five assists through a player’s first two seasons (Oscar Robertson, Allen Iverson and LeBron James)…his 22.5 points per game were the highest for any player age 22 or younger in 2012-13 and the most among all Eastern Conference point guards…became only the second Cavs player since 1985-86 to post five games of at least 35 points in a single season (LeBron James)…won the Eastern Conference Player of the Week for games played from Jan. 21-27 after scoring at least 30 points in three straight games (40 vs. BOS on 1/22, 35 vs. MIL on 1/25 and 32 at TOR on 1/26) and becoming only the fifth player in NBA history to register three straight 30-point games before his 21st birthday (John Drew, Bernard King, LeBron James and Kevin Durant)…was selected to the 2013 NBA All-Star Game, becoming the 16th All-Star in Cavaliers history, the sixth-youngest player ever named to an All-Star team (20 years, 331 days) and one of seven to make it before turning 21…participated in the 2013 BBVA Rising Stars Challenge at All-Star Weekend, scoring 32 points on 14-20 (.700) shooting, including shooting 4-8 (.500) from beyond the three-point line, to go along with six rebounds and six assists…won the 2013 Foot Locker Three-Point Contest at All-Star Weekend, joining Mark Price (1993 and ’94) as the only Cavs players to win the event…recorded 15 points on 6-11 (.545) shooting, including 3-6 (.500) from long range, three rebounds and four assists in 25 minutes in the 2013 NBA All-Star Game…shot a perfect 14-14 from the foul line and finished with 34 points, four rebounds, eight assists and three steals at Brooklyn on Nov. 13, becoming just the sixth Cavs player since 1986-87 to make at least 14 free throws without a miss…posted a career-high 41 points on 15-25 (.600) shooting, five rebounds and five assists at New York on Dec. 15, becoming the youngest player (20 years old) to score 40 or more points in an NBA game at the current Madison Square Garden (opened in 1968)…recorded a game-high 33 points, including shooting 10-of-10 from the free throw line, five rebounds, six assists, four steals and a career-high three blocks in 38 minutes, including hitting the game-winning jump shot with one second remaining to seal the Cavs’ victory over Charlotte on Jan. 4…became only the second Cavs player since 1985-86 to tally at least 33 points, five rebounds, six assists, four steals and three blocks in a single game (LeBron James on Jan. 9, 2009 vs. Boston)…became the youngest player to ever score 40 points in a game against the Boston Celtics (20 years, 305 days old) after finishing with 40 points on 16-24 (.667) shooting from the field, five assists and two steals in 38 minutes on Jan. 22…swiped at least three steals in five straight games from Jan. 9-16, becoming the first Cavs player to do so since LeBron James in December 2004…set a season-high with five steals and added 28 points and seven assists at Denver on Jan. 11…during a 20-game stretch from Jan. 2 to Feb. 11, averaged 25.1 points on .483 shooting, including .465 (40-86) from the three-point line and .893 (92-103) from the foul line, 3.5 rebounds, 5.5 assists and 2.1 steals in 35.2 minutes per game…scored 32 points and hit the game-winning three-pointer with 0.7 seconds remaining on Jan. 26 at Toronto…tallied 35 points, five rebounds, seven assists and two steals, including scoring 20 points in the final seven minutes, in a victory over the Hornets on Feb. 20…recorded four double-doubles on the year… averaged 6.8 points in the fourth quarter, which ranked 4th in the NBA...in the final three minutes of the fourth quarter, averaged an NBA-high 3.5 points and scored at least 10 points in 16 fourth quarters on the season…scored 10-19 points 17 times, 20-29 points 24 times, 30-39 points 11 times and 40 or more points twice…led the team in scoring 47 times, rebounds seven times, assists 41 times, steals 23 times and blocks 11 times…missed games from Nov. 21-Dec. 8 with a hairline/non-displaced fracture in left index finger…missed games from Feb. 26-March 1 with a sore/hyperextended right knee…missed games from March 12-29 with a left (AC) acromioclavicular sprain…missed game on April 1 due to rest/recovery protocol...was DNP-CD one time and DND four times…was placed on the Inactive List 18 times on the season…played in 51 games (all starts) during the 2011-12 season…averaged 18.5 points on .469 shooting, 3.7 rebounds, 5.4 assists and 1.1 steals in 30.5 minutes…also shot .399 from three-point range and .872 from the free throw line…among rookies, ranked first in points per game and free throw percentage and second in three-point percentage and assists per game…ranked fourth in the NBA and first among rookies in points per fourth quarter at 6.4 points per game (min. 35 games)…ranked second in the NBA and first among rookies in points per fourth quarter inside the final three minutes of games at 3.2 per game…joined Oscar Robertson, Magic Johnson, Allen Iverson and LeBron James as the only No.1 overall draft picks to average 18.0 points and 5.0 assists…became one of six rookies in league history to average 18.0 points, 5.0 assists, 1.0 steal and .450 shooting from the field, along with Alvan Adams, Magic Johnson, Grant Hill and Tyreke Evans…by finishing the season averaging at least 18.0 points and shooting .399 from three-point range, joined Larry Bird as the only rookies in NBA history to accomplish this feat…became the fourth rookie in league history to average 18.0 points and shoot at least .860 from the free throw line, joining Rick Barry, Kevin Durant and O.J. Mayo…participated in the BBVA Rising Stars Challenge at All-Star Weekend, scoring 34 points, including shooting 8-8 from beyond the three-point line, to go along with a game-high nine assists and earned the game’s Most Valuable Player honor…three-time winner of the NBA’s Rookie of the Month Award, for games played in December/January, February and March…in his NBA debut, scored six points while dishing out seven assists and only having one turnover against Toronto on Dec. 26, becoming the first Cav to have at least seven assists and one or fewer turnovers in their NBA debut…scored a career-high 32 points on 12-20 (.600) shooting, including 21 points in the fourth quarter (17 in the last 2:58) becoming the first rookie to score at least 21 points in any quarter since Roddy Beaubois (21 in the 2nd) of the Dallas Mavericks on Mar. 27, 2010, to go along with six rebounds in 31 minutes against New Jersey on Jan. 27…poured in 29 points on 10-19 (.526) shooting and added a career-high-tying nine rebounds and nine assists in a career-high 42 minutes against Atlanta on Mar. 21…dished out a career-high 12 assists to go along with nine points and six rebounds at Oklahoma City on Mar. 9…recorded his only double-double of the season with 19 points and 10 assists on Mar. 18 versus Atlanta… against the Bucks on Mar. 30, scored a game-high 29 points on 11-20 (.550) shooting in 32 minutes, while shooting a perfect 6-6 from three-point range to set a Cavalier rookie records for the most three-pointers made in a game, and most three-pointers made in a game without a miss to become the first rookie in the NBA to make at least six three’s in a game without a miss since Stephen Curry, who on Jan. 5, 2010 shot 6-6 for Golden State against Denver…scored 10-19 points 19 times, scored 20-29 points 25 times and scored 30 or more points once…shot .500 or better in 18 of the 26 games he scored 20 or more points…led the team in scoring 24 times, rebounds three times, assists 31 times, steals 17 times and blocks four times…missed games from Feb. 8-11 with a concussion…missed game on Mar. 31 with a right shoulder sprain…missed games from Apr. 4-17 with a contused/sprained right shoulder…was DNP-CD two times, DND eight times and NWT three times on the season…was placed on the Inactive List two times on the season. In 34 career postseason games (all starts), averaging 22.9 points on .464 shooting, including .443 from the three-point line, .860 from the foul line, 3.2 rebounds, 4.4 assists and 1.6 steals in 36.4 minutes…started in all 21 games during Cleveland’s championship run in the 2016 Playoffs…scored at least 20 points in 18 of the 21 playoff games and averaged 25.2 points, including a .440 mark from deep, 3.0 rebounds, 4.7 assists and 1.71 steals in 36.8 minutes…topped at least 30 points a team-high six times in the playoffs and ranked 4th in the NBA Playoffs in three-pointers made (51)…in the First Round against Detroit, averaged a team-high 27.5 points (highest in 2016 First Round among all NBA players), a .471 clip from beyond the arc, 2.3 rebounds, 4.8 assists and 1.3 steals in 37.8 minutes…in the semifinals against Atlanta, averaged 21.3 points on .484 shooting, including .667 (12-18) from three-point territory, 6.3 assists and 1.3 steals in 34.8 minutes…in the Conference Finals versus Toronto, averaged 24.2 points, 3.3 rebounds, 4.5 assists and 1.8 steals in 35.0 minutes…in the NBA Finals against Golden State, averaged 27.1 points, 3.9 rebounds, 3.9 assists and 2.14 steals in 39.0 minutes…also shot .405 from beyond the arc and .939 (31-33) from the foul line…after pouring in a playoff career-high 41 points on 17-24 (.708) shooting from the field in Game 5 of The Finals on May 13, he became just the 2nd player in Finals history to shoot at least 70% in a 40-point game, joining Wilt Chamberlain, in a Game 6 win over the Knicks in 1970 (45 points, 74%)…scored 30+ points in three straight Finals games (Games 3-5), joining Rick Barry (1967) and Dwyane Wade (2006) as the only players in the last 50 years to score 30+ points in three straight NBA Finals games before the age of 25…appeared in 13 games (all starts) during the Cavs’ NBA Finals run in the 2015 Playoffs...averaged 19.0 points, including a team-high .450 (27-60) from the three-point line, 3.6 rebounds, 3.8 assists and 1.3 steals in 35.7 minutes, while posting one double-double…swatted at least one shot in 10 of his 13 playoff games…missed two games in the Eastern Conference Finals from May 22-24 due to left knee tendinitis and five games in the NBA Finals from June 7-16 due to a fractured left knee cap…scored in double figures in 12 of 13 career playoff games, including seven 20-point performances…in four games against Boston in the First Round against, shot .480 (12-25) from the three-point line and averaged 23.3 points, 5.0 rebounds, 4.3 assists, 1.0 steal and 1.0 block in 40.5 minutes…scored 56 points in his first two playoff contests as a Cavalier (April 19-21); only LeBron James (58 points in 2006) scored more points in his first two playoff games wearing a Wine and Gold jersey…in Game 2 against Chicago on May 6, had 21 points on just nine field goal attempts, becoming the first Cavaliers player since Daniel Gibson in Game 6 of the 2007 Eastern Conference Finals versus the Pistons to record 20 or more points on nine or fewer field-goal attempts in a playoff game (Gibson had 31 points on 9 FGA)…in the Semifinals versus Chicago, averaged 17.5 points and 1.3 steals, while shooting .895 (34-38) from the foul line, in 34.8 minutes per game…in Game 1 of the NBA Finals at Golden State on June 4, tallied 23 points, seven rebounds, six assists, a playoff career-high four steals and two blocks in 44 minutes; became first NBA player to total at least 23 points, seven rebounds, six assists, four steals and two blocks in a playoff game since May 2, 2000 when Chris Webber accomplished that feat against the Lakers (23 pts/13 rebs/8 asts/4 stls/7 blks). 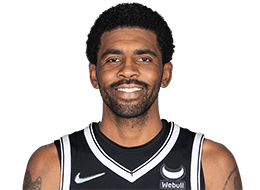 NBA Champion (2016)…All-NBA Third Team selection in 2015…three-time NBA All-Star (2013, 2014 & 2015)…voted a starter in the 2014 NBA All-Star Game in New Orleans where he became the second Cavs player and second-youngest player to ever earn MVP honors of an All-Star Game…won the Eastern Conference Player of the Week four times: Jan. 21-27, 2013, Dec. 9-15, 2013, Jan. 26-Feb. 1, 2015 and March 9-15…participated in the 2013 BBVA Rising Stars Challenge at All-Star Weekend in Houston…won the 2013 Foot Locker Three-Point Contest at All-Star Weekend…named 2012 Kia NBA Rookie of the Year, getting 117 of a possible 120 first place votes…named MVP of the 2012 BBVA Rising Stars Challenge at All-Star Weekend in Orlando…three-time winner of the NBA’s Rookie of the Month Award, for games played in December/January, February and March during the 2011-12 season…named to the NBA’s All-Rookie First Team for the 2011-12 season as the team’s only unanimous selection…won Gold Medal at the Rio 2016 Olympics, becoming just the fourth player to win an NBA title and Olympic Gold Medal in the same year (Michael Jordan, Scottie Pippen, LeBron James)…starting point guard in all eight games at the 2016 Rio Olympics and averaged 11.4 points, 2.5 rebounds and a team-best 4.9 assists; his 12 assists against France on August 14, 2016 tied a Tea USA single-game record shared by Michael Jordan, LeBron James, Leon Wood and Phil Ford…2014 USA Basketball Male Athlete of the Year, 2014 FIBA World Cup Most Valuable Player and All-Star Five selection in Madrid, Spain…made all six of his three-point attempts as part of a 10-13 (.769) shooting display on his way to a game-high 26 points and handed out four assists in a 129-92 win over Serbia in the gold medal game on Sept. 14, 2014…in nine tournament games (all starts) at the 2014 FIBA World Cup, he led USA to a 9-0 record after averaging 12.1 points on .563 (45-80) shooting, including .609 (14-23) from the three-point line, 2.6 rebounds, 3.6 assists and 1.9 steals in 24.4 minutes per game…named to the U.S.A. Olympic Select Team on May 21, 2012. Father, Drederick, played at Boston University from 1984-88. Drederick had his jersey retired and ranks second in BU history with 1,931 career points…he went on to play professionally for the Bulleen Boomers in Australia, where Kyrie was born and holds citizenship with along with the United States…his godfather is former NBA player Rod Strickland… took on the role of "Uncle Drew" in a series of Pepsi Max advertisements, which episodes include appearances from Bill Russell, Kevin Love, Nate Robinson, Maya Moore, Baron Davis and Ray Allen…as a high school senior, named McDonald’s All-America, First Team All-America by Parade Magazine and USA Today, and finalist for the Naismith Boy’s High School Player of the Year…earned a gold medal with the U.S. under-18 (U-18) National Team at the FIBA Americas U-18 Championship in San Antonio, averaging 13.6 points and 4.2 assists…selected MVP of the 2009 Nike Global Challenge in Portland playing for Team USA East in junior national team competition…favorite book is Catcher in the Rye. COLLEGE CAREER: Played one season for Duke University…played in 11 games as a freshman, sitting out 26 contests with a toe injury on his right foot…averaged 17.5 points, 3.4 rebounds and 4.3 assists per game while shooting .529 (55-104) from the field, .462 (18-39) from behind the three-point line and .901 (64-71) from the free throw line…started the first eight games of the year, averaging 17.4 points, 3.8 rebounds and 5.1 assists per game…injured his toe in the second half of a win vs. Butler on Dec. 4…returned to action in the NCAA Tournament and averaged 17.7 points, 2.3 rebounds and 2.0 assists in Duke’s three outings…scored a game-high 31 points to go with six rebounds, four assists, two blocks and two steals versus No. 6 Michigan State in the ACC/Big Ten Challenge early in the season, marking just the fourth time in Duke history a freshman scored 30 or more in a game…selected as CBE Classic MVP after averaging 14.5 points, 4.0 rebounds, 6.0 assists and 1.5 steals in four games in November…had 17 points, five rebounds, six assists and two steals in the finals versus No. 4 Kansas State…dished out nine assists against both Princeton and Colgate…in the NCAA Tournament, scored team highs of 14 points against Hampton and 28 points against Arizona in the Sweet 16 while going 9-15 (.600) from the field, 8-9 (.888) from the line and 2-4 (.500) from three-point range against the Wildcats.